LM loves the Bratz dolls and was really excited to see the brand new InstaPets range advertised on TV recently. When I was asked if she would like to take a look at one, the answer was a resounding yes! 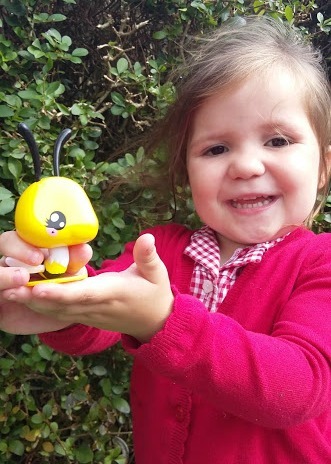 LM loved seeing the 'Bumblebee doll' - Raya - and she was lucky enough to be sent that one. 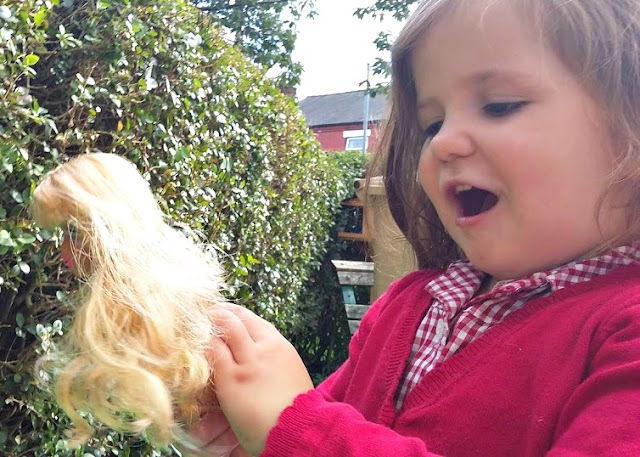 She was so delighted that she cried happy tears! 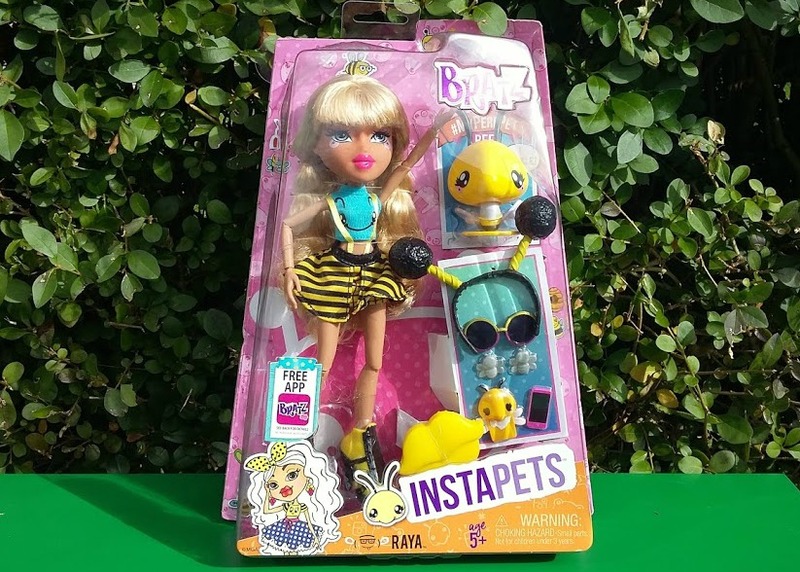 The new Bratz Instapets range sees the five girls as animal lovers, each accompanied by their own Kawaii spirit animal. 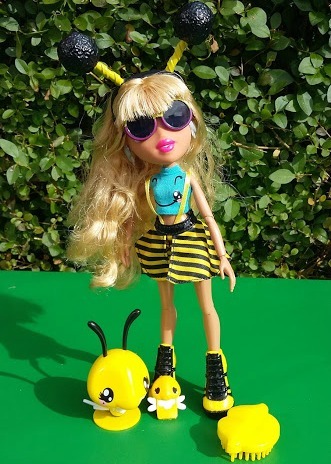 Animals often feature in the Bratz boxes but this is the first set of dolls where they have been the main focus. The idea is that the Bratz girls use their phones to snap their pets and share the photos on Instagram, or pics of themselves wearing their cute, animal-inspired outfits. The five dolls each have a different animal theme and are accompanied by their own bobblehead animal pet - we have Raya with her bumblebee, Jade has a cat, Sasha a rabbit, Yasmin with a frog and Cloe's pig. Raya is dressed in a cute bee outfit, with skirt, t-shirt and bumblebee deeley boppers completing the look. 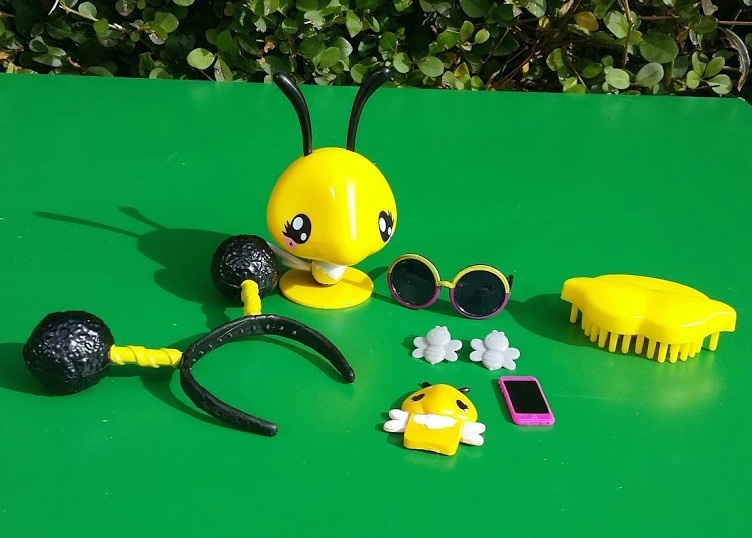 Her accessories are all bumblebee themed too, with earrings, phone case, sunglasses and even her shoes seeing the yellow and black colour scheme. The doll has the usual Bratz bendable knees and wrists but this is the first edition we've had which has articulated elbows, this makes the dolls really poseable. LM loves being able to put her doll into different positions and sit her down. 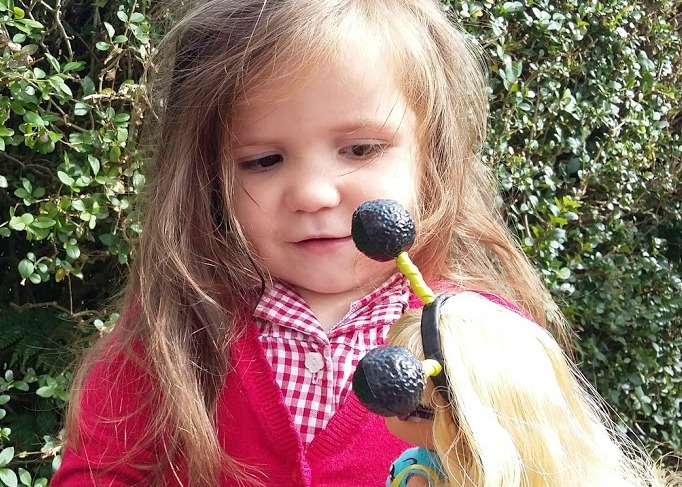 She has the usual lovely Bratz hair which can be brushed using the lip hairbrush which comes with every doll, of course Bumblebee Raya's is yellow. 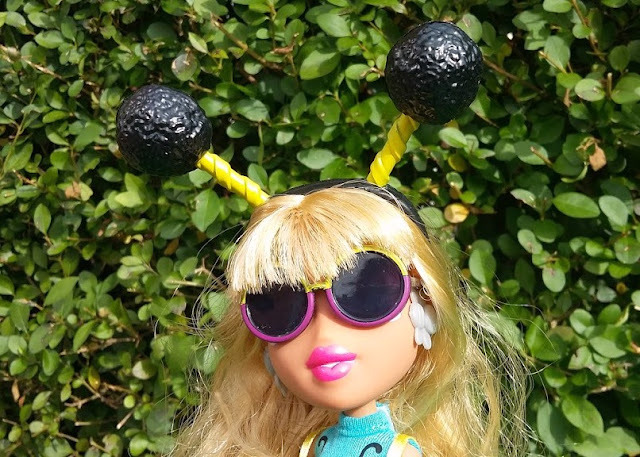 The Bratz InstaPets range is really good fun and the on-trend bobbleheads are a great addition to the characters, LM has named her's Jessica after a nursery friend. This is the first Raya Bratz doll LM has had and she's found her home in with her growing collection, and been played with regularly since her arrival.